Unleashed has been a band for nearly 30 years and the only thing that mainstream music fans know about them is that Nirvana covered them once. This good-standing among metal nerds is a double-edged sword, however. Because metal nerds will foam at the mouth if any of their pet bands deviate in any way from their established musical style, old-school death metal bands rarely ever do anything else but old-school death metal. Unleashed is certainly stuck in this rut and, twelve albums in, it doesn’t look like they’ll be leaving it anytime soon. This isn’t necessarily a band thing though. Good death metal is good death metal and that’s exactly what they provide on Dawn Of The Nine. The album begins with A New Day Will Rise, a surprisingly melodic, blackened take on old extreme metal. Vocals are appropriately raw and raspy, channeling Cronos. From then on Dawn of The Nine sticks to this vintage death metal path. Some highlights are readily apparent. They Come To Die contains a fantastically heavy, surprisingly Hatebreed-sounding mid-song breakdown. The Bold Thrower channels the band of the same name, presenting a wickedly dirty, crunchy, sludgy basstone. Vocals are buried under a thick layer of feedback, completing the affect. Land of The Thousand Lakes is the most thoroughly written and melodic. It channels the best of early death without losing the poppy songwriting quality. The album is not without its flaws, however. Where Churches Once Burned is a lyrically stupid, half-assed attempt at anti-Christian rhetoric, a topic that hasn’t been controversial in metal since the 90s. Also, several tracks have either ambient or acoustic intros and outros. As downright pretty as these sections can be, they rarely fit as parts of the tracks that they preamble. They’re rather unnecessary. These problems don’t ruin the experience, though. Dawn of The Nine is still a solid effort, and it certainly deserves your listen. 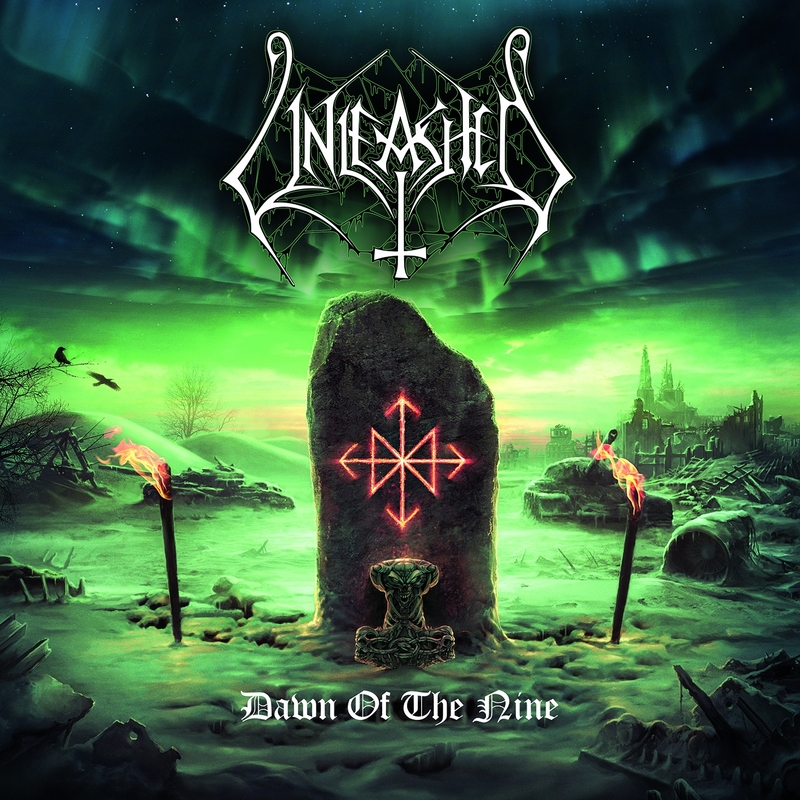 More from Unleashed can be found on their personal website: Unleashed.se, Facebook and they tweet as: @unleashedsweden. All words y Josh Hart. More from Josh can be found at his author archive.